Abundance Foods would love to hear your feedback, so get in touch any time. 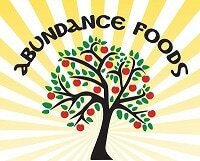 - welcome to Abundance foods! Would love to stay in touch with you!